Burkina Faso is a small but proud landlocked nation located in Western Africa, stretching over 274,250 square kilometers with a population of approximately 18 million. It has a range of 61 different ethnic groups and dialects, with French being the national language. The current president, Rock Marc Christian Kabore, has been in power since November 2015. 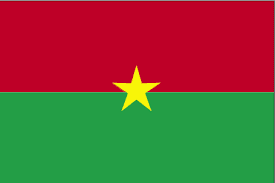 Formerly called the Republic of Upper Volta, the country was renamed "Burkina Faso" in August 1984 by President Thomas Sankara. The name was designed to unite the different ethnic group, combining words from both Mossi and Dioula origin, and roughly translates to 'Land of the Upright People'. Since then, the country has celebrated a further four presidents, but the name remains. Burkina Faso has one of the lowest GDP per capita rates in the world, with 80% of the working population engaged in agriculture - primarily in millet, maize (corn), peanuts, rice and cotton. The country has few natural resources, a high population density and some of the lowest literacy rates in the world.